• The Reclining Buddha is known as the Sleeping, Dying or Nirvana Buddha. A reclining Buddha is a statue that represents Buddha lying down and is a major iconographic and statuary pattern of Buddhism. And the Reclining Buddha represents the historical Buddha during his last illness, about to enter the Parinirvana. 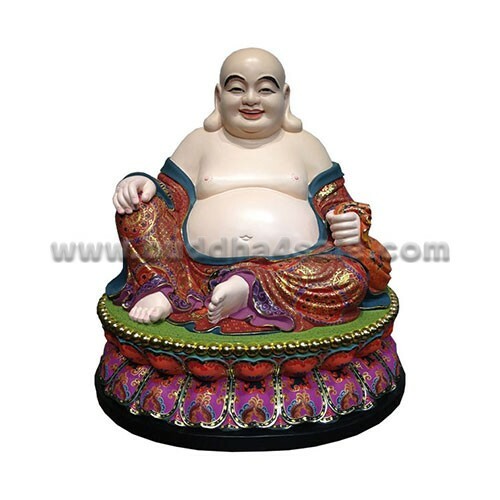 • This Reclining Shakyamuni Buddha for sale is color painted and with fully detailed robes. 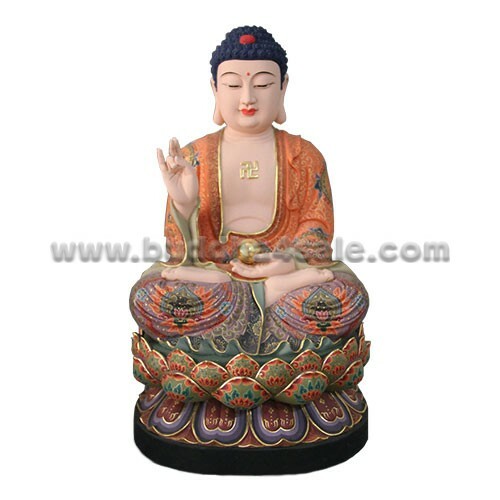 The Shakyamuni is depicted lying on the right hand side on top of a resting bed and his head resting on a cushion or relying on his right elbow, supporting his head with his hand. 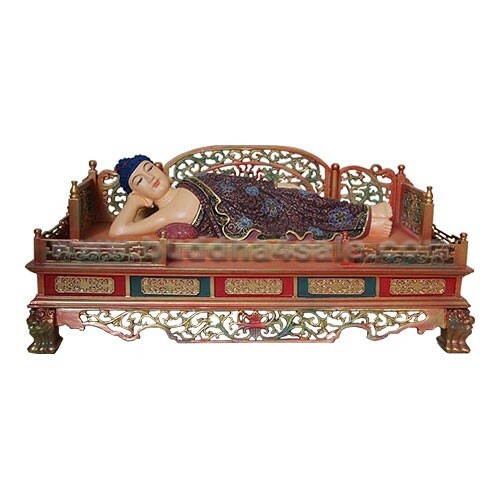 This delicate sculpture of a Reclining Buddha is made of camphorwood which with a sence of strong wood fragrance and keep the insects away. 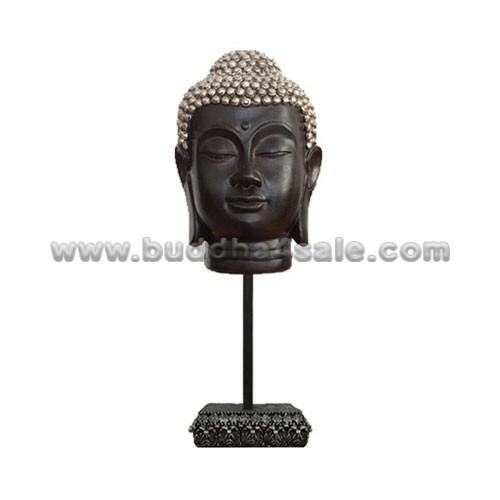 • Bring home a feeling of serenity and fortune for your business of this Shakyamuni Buddha. Perfect for the home or office decor, and will remind you to take the time to reflect during your busy day. 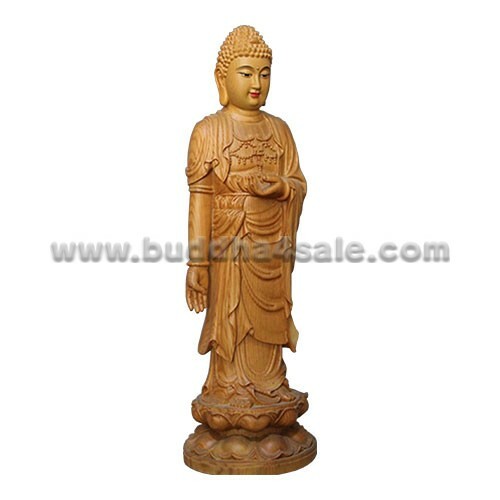 • Woodcarved table decor with religious blend.